The Deadline is Friday 25 September at 23.59 for Submissions for our 'Eerie Evening' to be held on Sunday 15 November 2015. 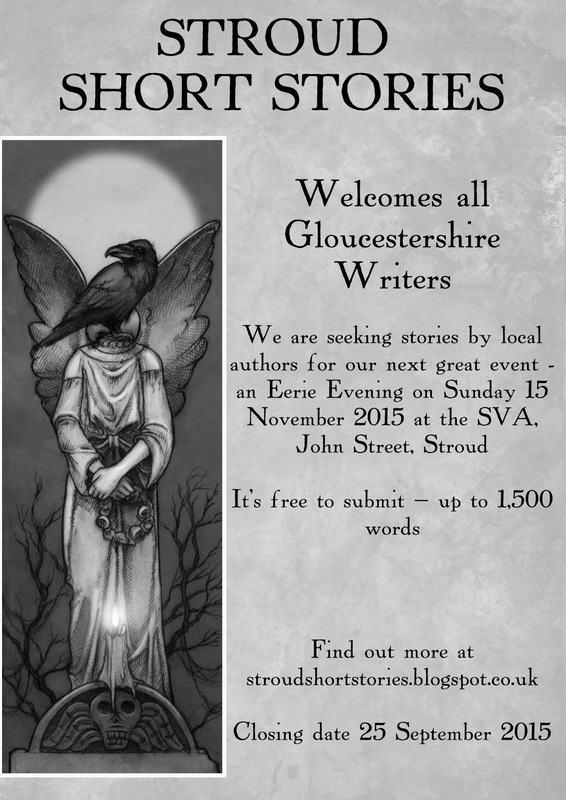 Stroud Short Stories is now accepting submissions for its one-off ‘Eerie Evening’ of short stories to be held on Sunday 15 November 2015, the deadline for which is Friday 25 September at 23.59. Ten stories will be selected from those submitted to be read by their authors at a packed and appreciative Stroud Valleys Artspace (SVA), John Street, Stroud, GL5 2HA at 8pm (doors 7.30). It will be our tenth event. As this is a special ‘Eerie Evening’ we are looking for stories which are strange or odd or spooky or bizarre, creepy, ghostly, ghastly, scary, supernatural, uncanny, weird or spine-chilling. Spoofs and pastiches are very welcome too. 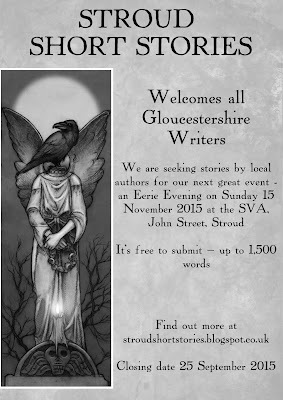 We are again seeking stories from writers from across Gloucestershire and South Gloucestershire. As ever it’s free to submit, and you may submit stories which have been previously published or are unpublished. Up to 1,500 words. Submissions are judged "blind", the judges not knowing the authors' identities. We have a new judge for this event. Writer Nimue Brown will be judging with SSS organiser John Holland. See Judges for more information. Please read The Rules and How to Submit before submitting your story. Thank you.